The Four Moments of Truth™ (4MOT™) process is a simple, practical sustainment solution designed to support the Trainee’s success and engagement before, during and after a training event. 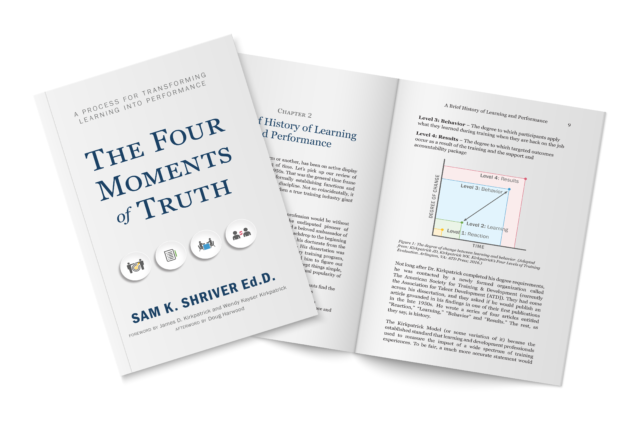 “The Four Moments of Truth” is a practitioner’s guide to training transfer and sustainment grounded in time-tested fundamentals of evaluation strategy. In essence, 4MOT™ is a straightforward blueprint that connects learning to behavior change, and behavior change to tangible results.